More than three decades after the events described in The Witches of Eastwick, Alexandra, Jane, and Sukie--widowed, aging, and with their occult powers fading--return for the summer to the Rhode Island town where they once made piquant scandal and sometimes deadly mischief. But what was then a center of license and liberation is now a "haven of wholesomeness" populated by hockey moms and househusbands primly rebelling against their absent, reckless, self-involved parents. With spirits still free but energy waning, the three women reconstitute their coven to confront not only this youthful counterspell of propriety but also the enmity of those longtime townsfolk who, through their youthful witchery, they irreparably harmed. 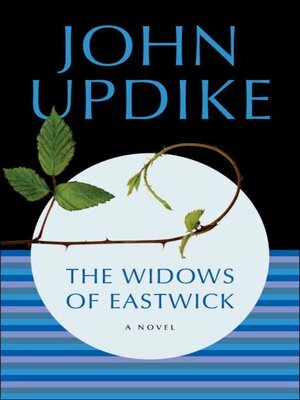 In this wise and wicked satire on the way we make peace with our pasts, John Updike proves himself a wizard on every page.